As a record label, Aby Muzik Productions Pvt Ltd has a vast network of digital music stores in its distribution network. 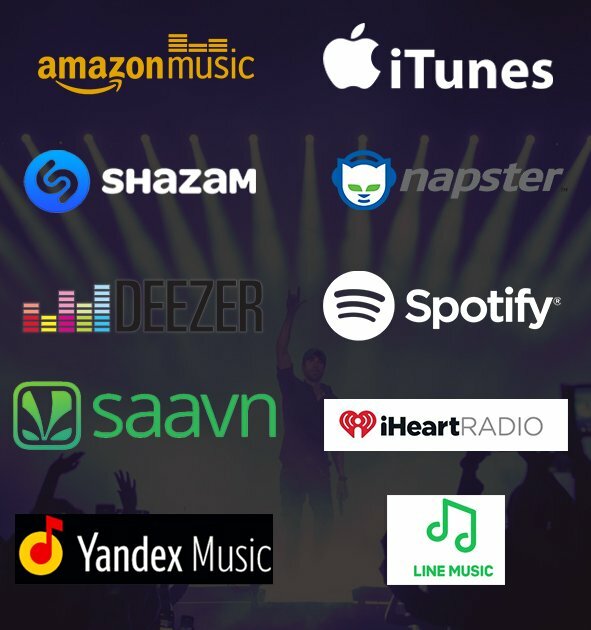 We have over 150 digital music stores partnered with us including iTunes, Amazon Music, YouTube Music, Shazam, Spotify, Saavn, Google Play Music, Hungama, Gaana, etc. where we publish your song/music. We release the songs under our label Aby Muzik Productions Pvt Ltd. We distribute your original song/music to all the popular music stores. Once you have your song/album ready with you, you can approach us with your original music to get it published and making it available to the world by releasing it on all major digital music stores and streaming sites and apps. Singers, producers, and music composers with their original music can always contact Aby Muzik for our digital music distribution service to get your music published. It's the moment to make your music heard by the world. If you want to get your music published, you can contact us with your details. To contact us, click the button below and submit the details about you and your music. © Aby Muzik Productions Pvt Ltd 2018. All rights reserved.